Our maximum strength skin peel providing the deepest peeling and best results. Peel 4000 is literally a second chance for your skin and can bring about a noticeable improvement in the appearance of your skin - Guaranteed! 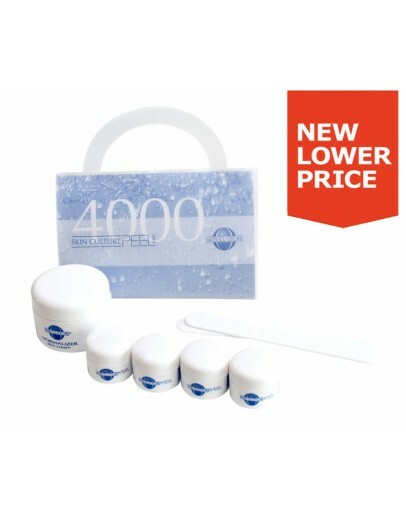 Peel 4000 removes deep cellular dirt and debris and rough, thickened damaged skin. Peel 4000 penetrates your skin's damaged or aged outer cells and gently peels them away. Outer dull and blemished skin is removed and a fresh new radiant skin replaces it. 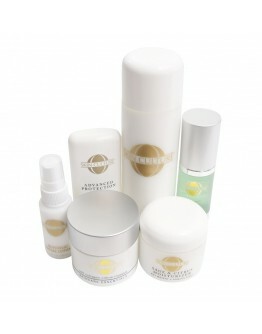 Your face feels softer and smoother to the touch, and best of all looks more youthful than you ever thought possible. For enhanced complexion beauty and clarity, enjoy a Skin Culture Peel 4000 and reveal your most beautiful skin to yourself…and the world today! Peel 4000 contains four jars of the peeling formula, which you apply on the first 4 days of the six-day process. On the following 2 days, you will apply a specially formulated moisturiser, which will soften the dead skin allowing it to gently peel away from the new skin.